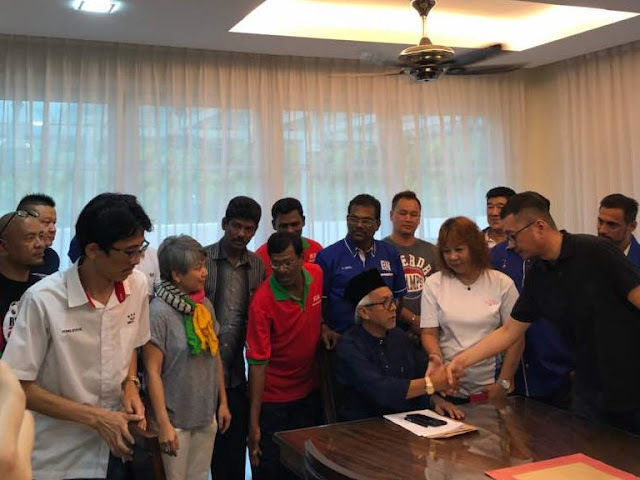 Syed Razak, who is Gerakan’s nominee to contest N.37 Bukit Lanjan in the coming 14th General Election (GE14), said “Kim is acting as if he is invincible and untouchable, and that’s a grave mistake”. “He is playing with fire and is risking the safety of his own people or citizens and his country if the global community decides to retaliate to put a stop to such madness. “No sane leader of a country will want to risk the lives of his people, unless he is ignorant and extremely arrogant,” he added. 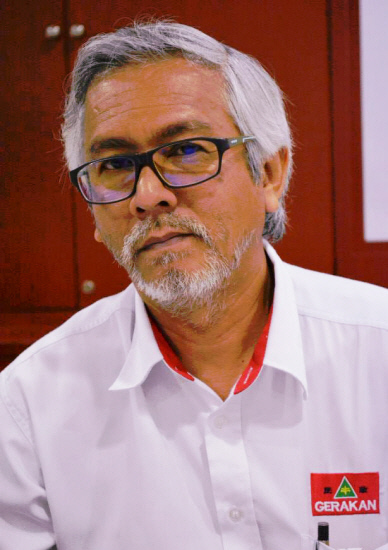 Syed Razak said Kim should be warned that “there is a limit to a sovereign state and global tolerance to his antics of threats and aggression”. “You cross the line and you pay dearly with your lives,” he added. TOKYO/SEOUL (Reuters) - North Korea fired a missile early on Tuesday that flew over Japan and landed in the Pacific waters off the northern region of Hokkaido, South Korea and Japan said, in a sharp escalation of tensions on the Korean peninsula. 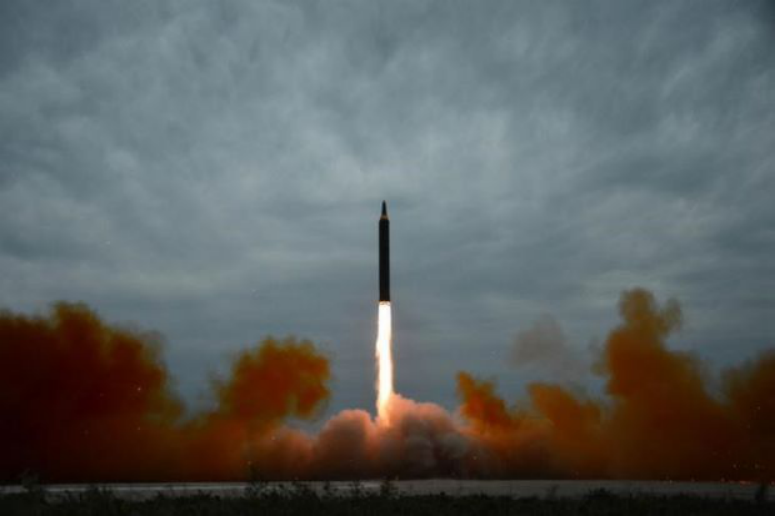 South Korea's military said the latest missile was launched from the Sunan region near the North Korean capital Pyongyang just before 6 a.m. (2100 GMT Monday) and flew 2,700 km (1,678 miles), reaching the altitude of about 550 km. Japan's Chief Cabinet Secretary Yoshihide Suga said the North Korean missile fell into the sea 1,180 km (733 miles) east of the Cape of Erimo on Hokkaido. The launch marks a sharp escalation in tensions over Pyongyang's pursuit of nuclear weapons and ballistic missiles in defiance of U.N. sanctions. WASHINGTON (Reuters) - North Korea's firing of a ballistic missile over Japan could increase pressure on Washington to consider shooting down future test launches, although there is no guarantee of success and U.S. officials are wary of a dangerous escalation with Pyongyang. And while President Donald Trump has repeatedly vowed that "all options are on the table", there has been no sign of any quick policy shift in Washington towards direct U.S. military action. 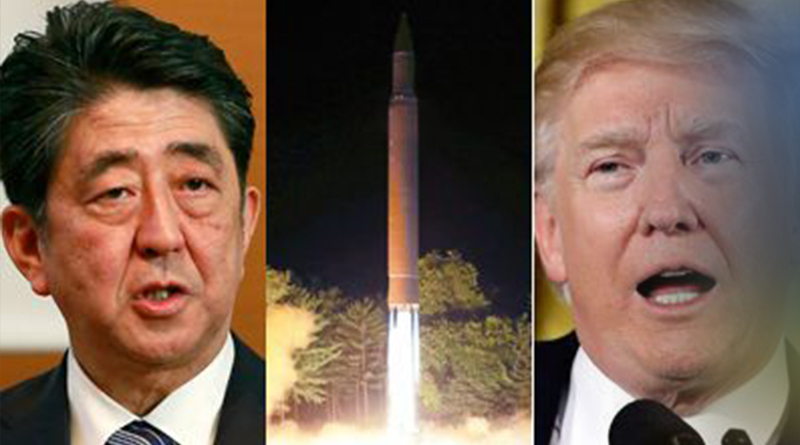 But Pyongyang's launch of an intermediate-range Hwasong-12 missile over Japan's northern Hokkaido island underscored how Trump's tough rhetoric, pursuit of sanctions and occasional shows of military force around the Korean peninsula have done little to deter North Korea's leader. 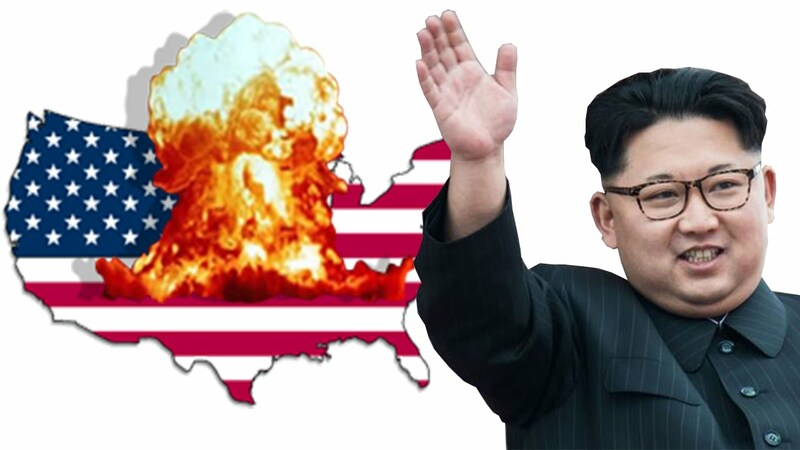 "Kim Jong Un has chosen to thumb his nose at the Americans and Japanese by conducting this test," said David Shear, former U.S. assistant secretary of defence for East Asia. 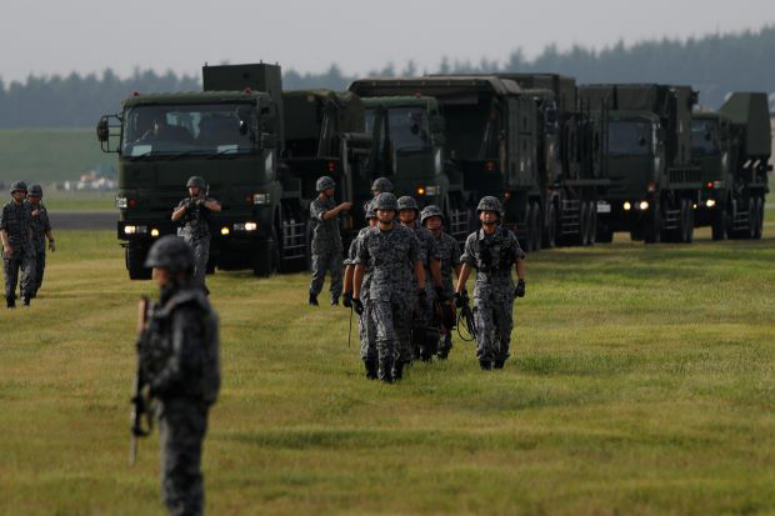 What is unclear is whether Washington would be prepared to use its multi-layered missile defence systems to intercept a missile like the one that overflew Japan but never directly threatened its territory. Doing so would essentially be a U.S. show of force rather than an act of self-defence. "I would think that in government deliberations that would likely be one of the options out on the table," Shear said. China, North Korea’s neighbour and main trading partner, would also likely oppose such a direct U.S. military response. Experts say there is no guarantee that U.S. missile defence systems, including Aegis ballistic missile defence ships in the region and Terminal High Altitude Area Defense (THAAD) systems based in Guam and South Korea, would hit their target, despite recent successful tests. The United States has spent $40 billion over 18 years on research and development into missile defence systems but they have never been put into operation under wartime conditions. Not everyone is convinced the U.S. military can defend against North Korea's growing missile capability. Some experts caution that U.S. missile defences are now geared to shooting down one, or perhaps a small number, of incoming missiles. 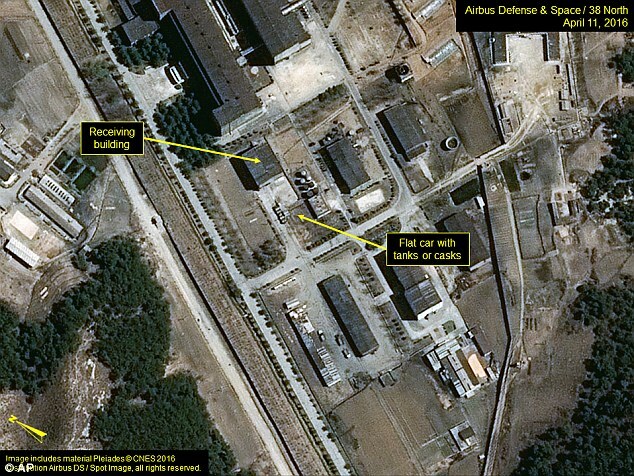 If North Korea's technology and production keep advancing, U.S. defences could be overwhelmed. "If a shootdown fails, it would be embarrassing, though not terribly surprising," said Michael Elleman, a missile expert at the 38 North think tank in Washington. "Missile defence does not provide a shield that protects against missiles. Rather, it is like air defence; it is designed to minimize the damage an adversary can inflict," he said. Japan also faces questions over the legality of shooting down missiles in its airspace but not aimed at Japan. Under legislation passed in 2015, Tokyo can exercise a limited right of collective self-defence, or militarily aiding an ally under attack, if it judges the threat to Japan as "existential"."